Relax thumb with our Heat Wrap, Hot or Cold application for Thumb. Texting, Gaming, Knitting, Crochet can all create repetitive motion stiffness. 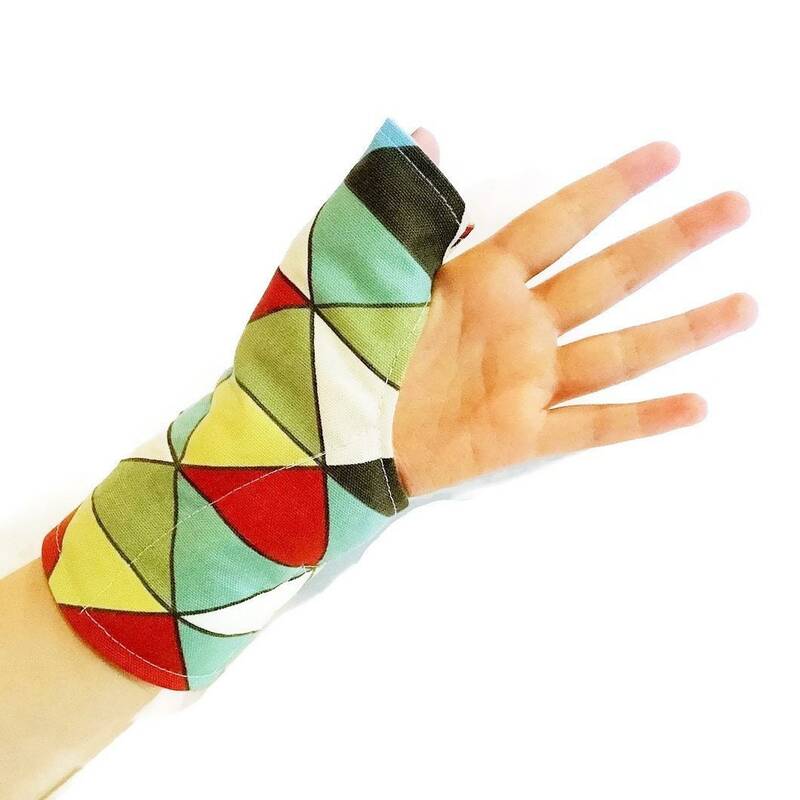 Heat Thumb Wrap fits left or right hand and slips over the thumb and around the hand and wrist. 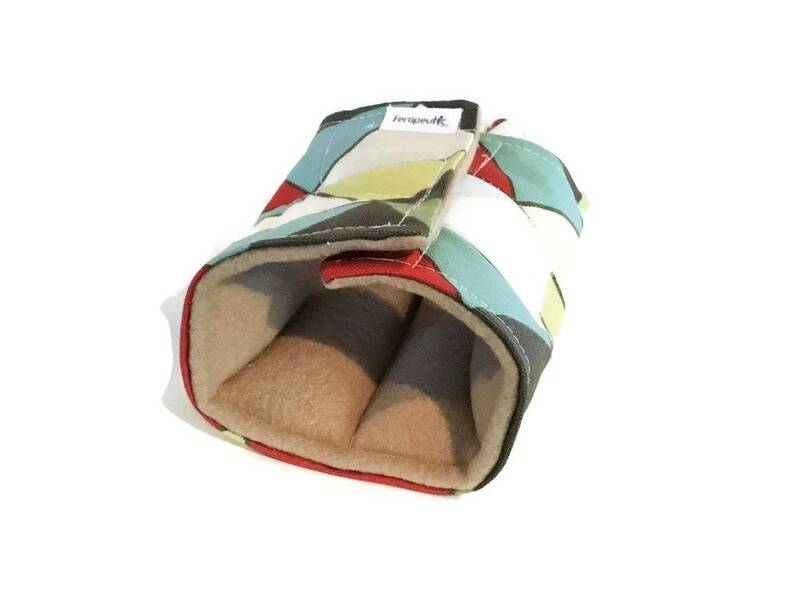 Secured with velcro, the hot or cold thumb wrap is one size fits all. 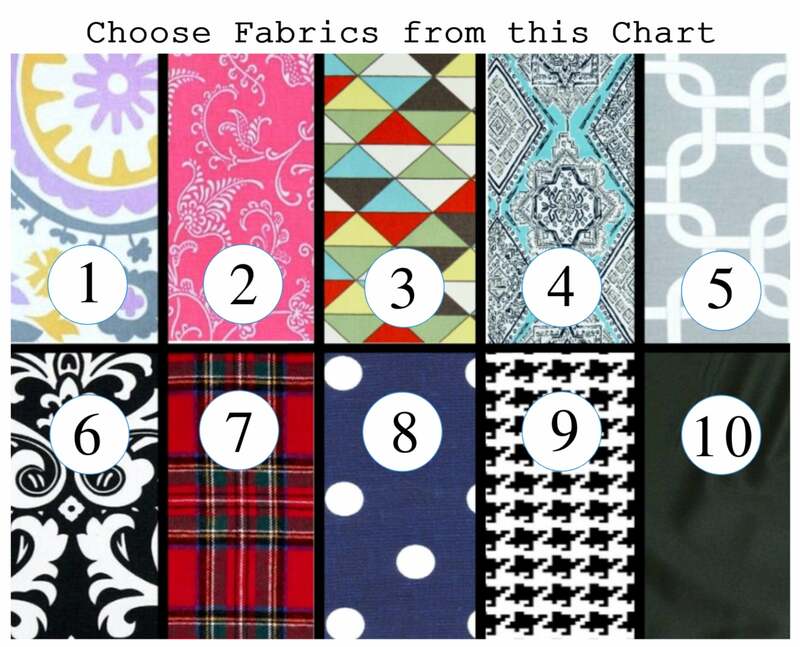 Please scroll through photos to view color / fabric chart. About 30 seconds in the microwave warms the thumb wrap for soothing moist heat. 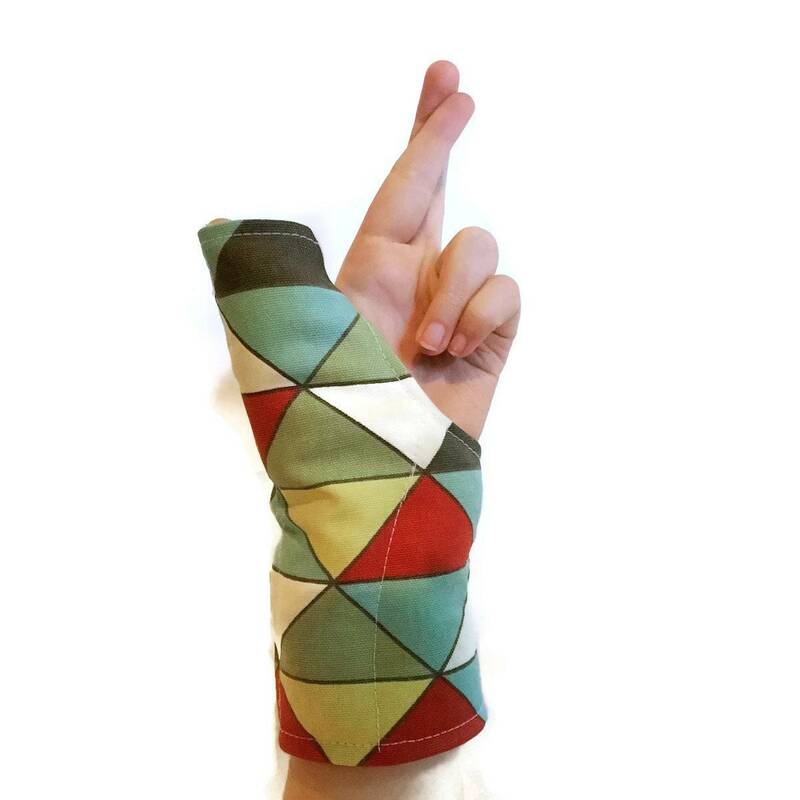 Chill wrap in the freezer to use as a thumb and wrist cold pack. 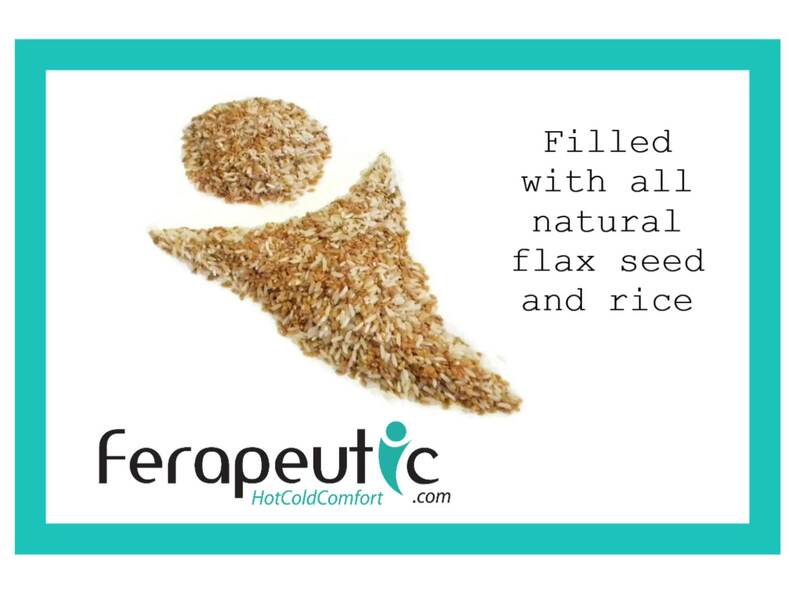 Thumb wrap is filled with rice and flax which are excellent for holding heat and cold. Want your wrap scented? 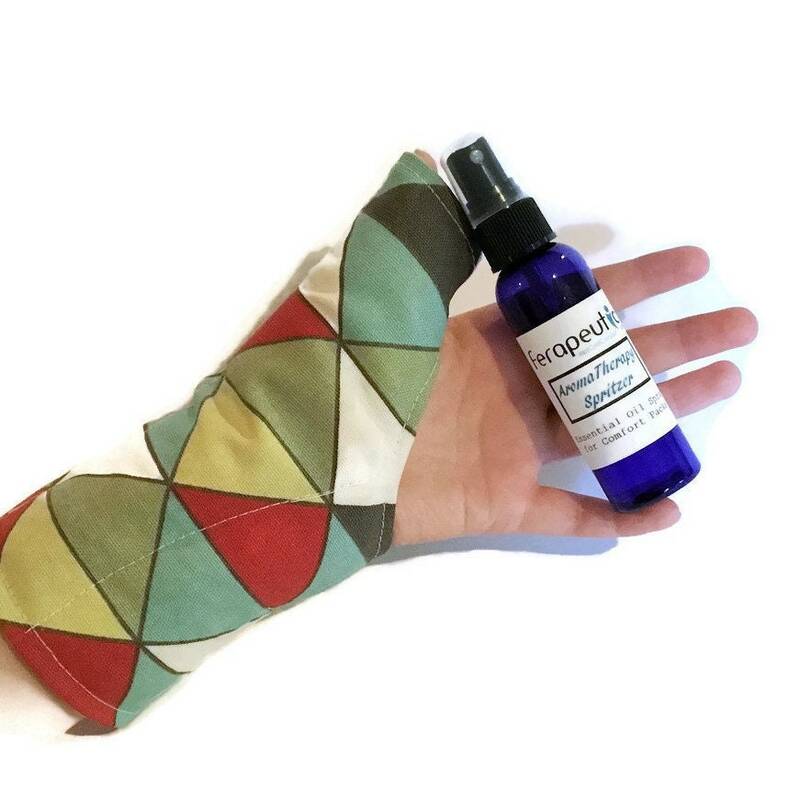 Just request lavender or chamomile when you check out. 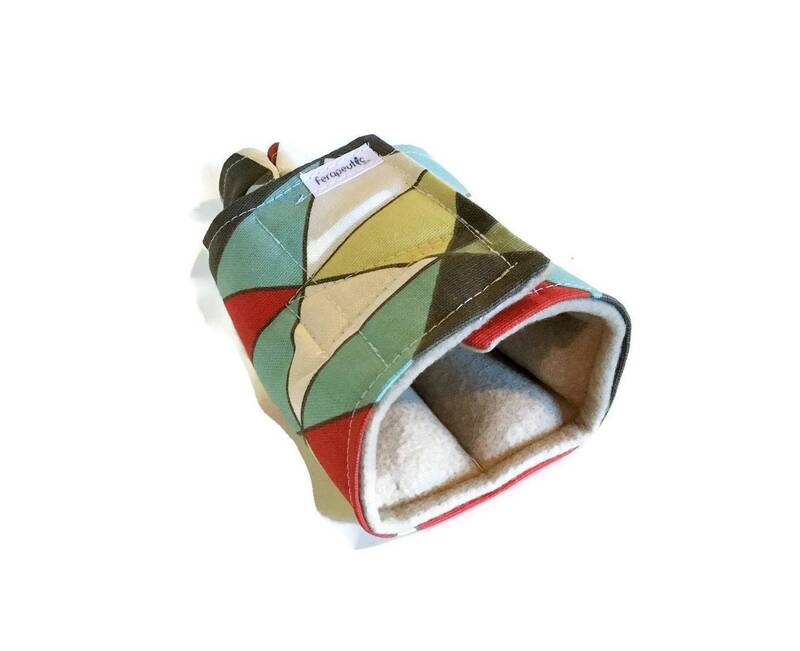 If you need more than one thumb wrap in this fabric, just contact us and we'll set up a custom listing just for you. Not intended as medical advice. 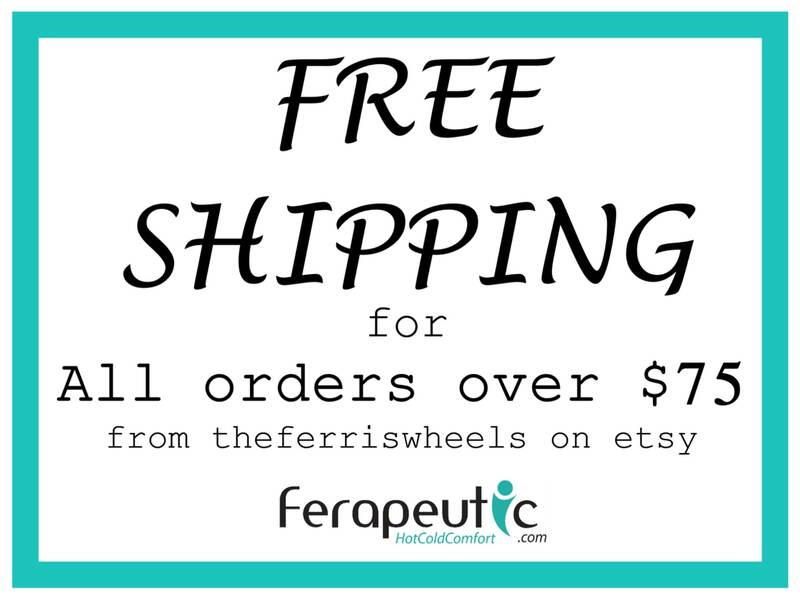 Description, pictures and product are property of TheFerrisWheels, LLC and protected by copyright 2011.